Conservation heroes day was celebrated in Kenya at the Kenya Wildlife Service (KWS) headquarters on the 16th of December 2018, to honour fallen rangers and celebrate the indomitable men and women who are the pillar upon which Kenya’s people and wildlife depend. The call for improved living standards and implementation of the Zero poaching strategy dominated conversations during the event. 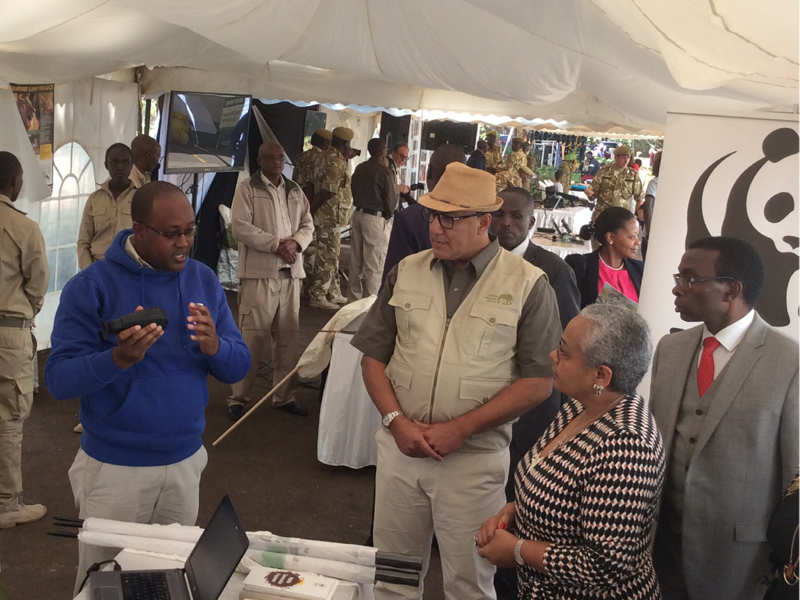 Dr. Yussuf Wato - Species Manager, WWF-Kenya explains our work with rangers in Kenya to Margaret Kenyatta - First Lady Kenya and Najib Balala - Tourism and Wildlife Cabinet Secretary. Dr. Yussuf Wato - Species Manager, WWF-Kenya explains the six pillars of the zero poaching strategy in combating wildlife crime to Dr. John waithaka – KWS board chair.